As a small business owner, you could be using audio podcasts to communicate with prospects/clients. It is passive, personal and cost effective, acting like an extended voicemail on demand. You can get started on an audio hosting platform like SoundCloud for free using an inexpensive microphone. Under the free account, you have a total of 180 minutes to play with, so you could always record short monologues, interviews or discussions on subjects important to your business for the benefit of listeners. In my business I always seem to repeat common answers to common questions. Don’t get me wrong, I like talking with people. It’s just that I am always coming up with ways to leverage time in order to stop repeating myself as much. A SoundCloud clip can be regarded as a glorified voicemail, with the benefit of being able to edit it first. You can make it public or private. Sometimes, a client sends me an email asking a very specific question, and rather than write back, I’ll record a quick SoundCloud recording, since the site does actually allow you to record directly into the browser if you don’t care about editing. While helping clients and spending time personally talking to people is worthwhile, podcasting is a way of automating some of this. On demand podcast audio makes it easier for people to know, like and trust you – besides receiving a good education about your brand, products and services. The podcast technology has been around in various forms for years and has finally culminated as a financially viable approach for the average Joe. The barrier of entry to DIY broadcasting has been lowered much and there has been a substantial rise in the amount of podcasts online. Make no mistake though, compared to some 644 million websites online, there are only about 200,000 podcasts online as of 2014. For those with a marketing message that matters, audio is a less noisy place. Podcasting is still quite untapped. It is an intimate way to make your mark and you don’t even need a large audience. Relatively few people are doing it so you’ll stand out and capture people’s interest because it’s novel. How many people do you know in business locally who have bothered to use audio as their marketing? Very few, I’ll bet. You just need to start this conversation with a bunch of people that care enough to listen. It doesn’t take long to record some thing half decent. It beats paying for a radio advert AND you can always use newspaper/magazine ads to funnel people to your podcast on your website. You might include the link to the sound as part of your email footer signature with anchor text such as “Listen to our FAQ”, or “Getting started”. Audio is a nice touch point. Below are some sounds I’ve recorded and uploaded to Soundcloud. You can create separate Soundcloud accounts for each of your brands. Myself and Rebecca – the former host of #SmallBizHour on Twitter – recorded this conversation to demo the concept to others. We recorded it over Skype using a special plugin to capture both sides of the Skype conversation and export to a stereo mp3. No rehearsal was needed on this occasion. In some cases some light compression is used to level out peaks. The embedded SoundCloud track below is a short clip that was embedded on the sidebar of my local website design business. This recording was made with my Humlin USB headset mic and given a post production gain boost in Audacity. The music is a royalty free loop that came on a free CD with a web design magazine. I’ve also created a short podcast in which I demonstrated my ATR2100 USB microphone, also published to Soundcloud. I met with someone locally to discuss our idea about a WordPress social club. We decided to record our conversation and share it with other local WordPress enthusiasts. 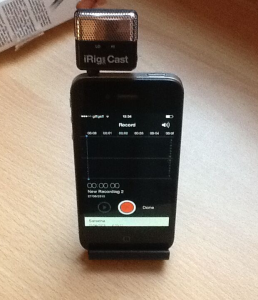 This recording was created using the iRig Mic Cast mini microphone for the iPhone. I run a website about local rail infrastructure developments in Ilkeston. The podcasts I make are irregular but of interest to local people. Another thing I have done is record an interview with a graphic design work colleague and publish that to my local web design website. It was created to debrief the client as well as acting as a piece of marketing. I host a weekly tweet chat on Twitter at 9pm for small businesses. By way of introduction to the chat, and to help Twitter users understand what we’re all about, myself and the co host Stephanie recorded a 20 minute podcast for SoundCloud. Feedback has been good and it genuinely helps people. We repurposed the audio track for YouTube to double the exposure. We recorded our conversation through the free version of Skype using a special recording plugin called Evaer. This little piece of software is third party and isn’t free – it was about £12 for a permanent licence. Then we decided to make it into a video and create visuals to accompany the audio. Our conversation was recorded in stereo with our voices output to left and right channels. The entire recording was imported into Sony Vegas Pro and split into separate channels meaning our voices were now separated on individual tracks. Then the volume on our individual voices could be turned up and down. I normalized everything to a certain level and made a few cuts before rendering to an 128 kbps mp3. How much you edit is up to you. The best material comes from knowing your stuff and just recording it and not having to do much editing. The next podcast example is longer and once again, is from my local web design Soundcloud account. It has been created to help past, present and future clients find their voice and understand their own audience. I planned this recording roughly in my notepad and also made a visual YouTube explainer video demonstrating how to use SoundCloud. Remember, you don’t have to record something this long at all. Five or Ten minutes could be long enough. Find out what problems, or interests your customers have. It doesn’t have to be perfect. You’re not on BBC Radio 4, and you’re not all about “selling”. If you don’t have a PC or exteernal microphone, you could record directly to your Soundcloud account using your iPad or iPhone. The video below shows what you need to do. Please note that these apps have changed a little bit over the last year or so. Many of you have told me you simply don’t like the sound of your own voice. I know the feeling. I used to cringe when I first started making YouTube screencasts in 2013. Let’s deal with that objection first, because if we don’t, you might not read on. In the early days, I would spent over an hour editing a 5 minute video, trying to make myself sound polished and suave. I felt I lacked the silky tones of a professional presenter. Then I gave myself a reality check and pulled myself together. I am in business, creating marketing materials aimed at people I want to talk to. It is not the Radio 1 breakfast show, or Radio 2 drive time, for heaven’s sake. Whether I like my voice or not, other people have been listening to it for 31 years and they’ve never raised any concerns. We are our own worst critics. What is important is that you record yourself saying things that are useful, interesting, informative, problem solving and entertaining. Not necessarily in that order and not necessarily all of those. When I edit my audio recordings now, I do so knowing that people will probably be distracted by the content to give a thought to how I sound. Most people comment on me having a “deep” voice, but no one has ever said I sound bad. 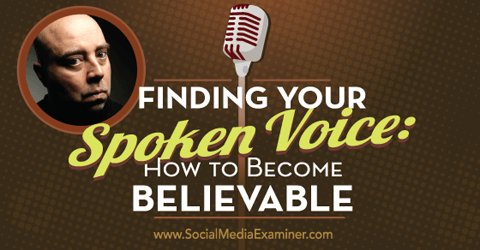 If you’re still not convinced, let Social Media Examiner teach you a thing or too with their excellent interview from September entitled Finding Your Spoken Voice: How to Become Believable. DropBox can be used (free) to host mp3 recordings. DropBox gives 5GB of storage, but has no RSS feed and none of the social features of SoundCloud. Technically this wouldn’t be podcast because people cannot subscribe but if you just want to get your sound recordings heard by a few people you could do this. SoundCloud gives 180 minutes free although you can upgrade if you want to. Arguably, 3 hours under the free account is enough for beginners. If you want create a set number of podcast episodes and then leave it there you will need to think carefully about how to produce “evergreen” audio content. If you know how long this audio series will be (Ten episodes for example) you might create some kind of narrative arch or consistent theme with a conclusion. You could always use LibSyn if you’re serious about taking things up to the next level. If you want to aggregate to iTunes and take full advantage of RSS (vital to podcasting) you should go ahead and spend roughly £5 a month (It’s very low) on the basic 50MB subscription. LibSyn also takes care of massive bandwidth loads if your show gets really popular, like thousands of downloads. For the time being, consider the free account for small biz podcasting with SoundCloud. Try things out and see how you like it. Please be warned that earlier in 2014 Twitter almost bought SoundCloud, and things could have seriously changed under a new leadership. That is why it’s worth considering paid/premium options if you want to generate lots of content right off the bat. Never allow yourself to be at the mercy of free social media sites. It’s advisable to promote your sounds on social media. 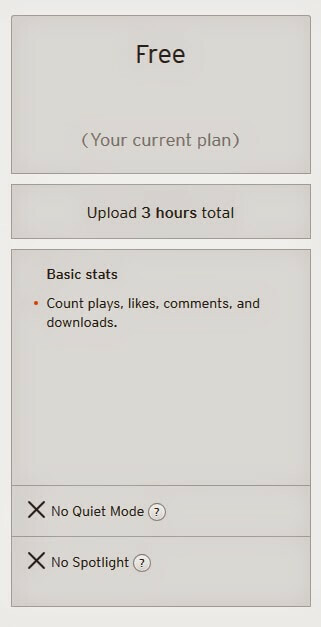 When you post a link to a Soundcloud clip, the player button populates your status which means people can press play and listen to you within their social feed. Remember – keep the sounds short and on point. Some of my longer sounds are actually bad examples for general use. Here’s a cool tip: if you’re a Twitter user, the Soundcloud player can be embedded into a Tweet. Then you “pin” this Tweet so it is always at the top of your Twitter feed. When people visit your Twitter profile this sound clip will be one of the first things they see. 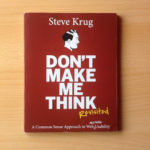 I hope this post was useful to you, and it would be great if you tried this form of marketing and find you like it. In this day and age, people want to know, like and trust you. So let them! Questions? Thoughts? Let me know. 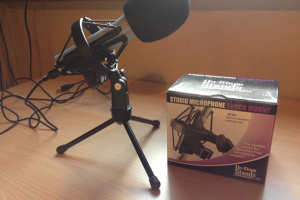 Check out some of the resources below to learn more about podcasting.